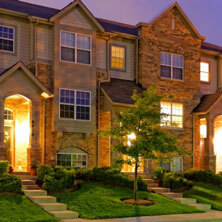 Fences are an essential aspect of most commercial and residential landscapes. Not only do they act as a boundary for your property, but can also be installed to demarcate spaces within the landscape. Many property owners also like to get wooden fences installed along the periphery of their decks or patios. Since every property is unique and every property owner would have very specific requirements, we make it a point to ensure that our solutions are tailored to your needs. Regardless of whether you want a privacy fence along the boundary of your entire property or just need to get a pool fence installed, we would provide you the best solutions. 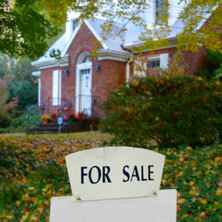 Our focus is always on providing clients value for money. With this in view, we adopt a customer-centric approach in all our projects. 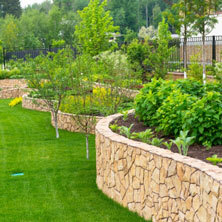 We also ensure that all your ideas are incorporated into your fence installation in Calgary project. Regardless of the scope of the job, you are assured of the best solutions at all times. We at Project Landscape have been operating in this space for over two decades and know what it takes to provide customized services to our clients. 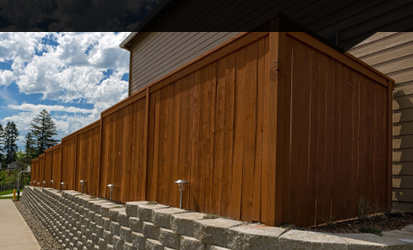 For any more information about our expert fence installation Calgary services, feel free to contact us at 403-407-5777 or drop us a line via this Online Form and we will revert shortly.